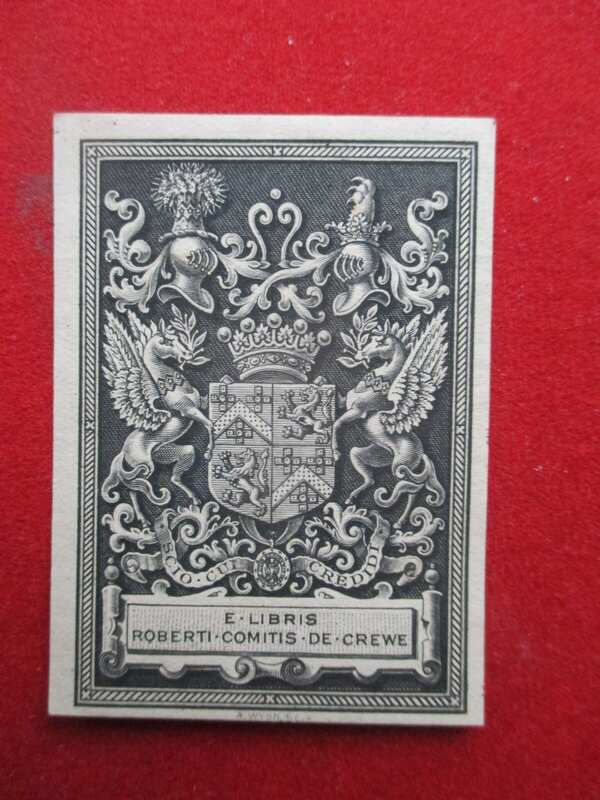 The bookplate measures 65 x 50 mm and shows the arms of Robert Offley Ashburton Crewe-Milnes, Earl of Crewe [1858-1945] and has his name and title in Latin beneath. 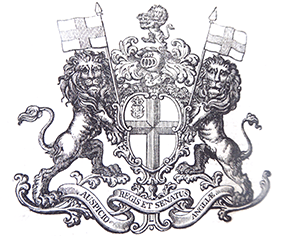 Crewe had a long career in politics, having been created 1st Earl of Crewe on giving up the post of Viceroy of Ireland. 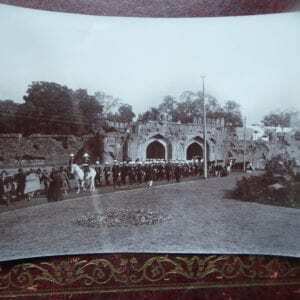 From 1910 to 1915 he was Secretary of State for India during which time he played a major part in planning the Coronation Durbar in Delhi and had the responsibility of transferring the capital from Calcutta to Delhi and reversing the partition of Bengal. 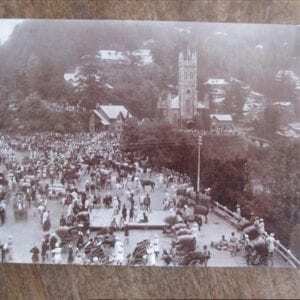 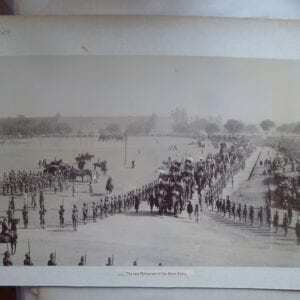 He travelled in the Royal Party to India for the Durbar in 1911, was in the King Emperor’s Camp, having been advanced in the peerage as Marquess of Crewe in the Coronation Honours. 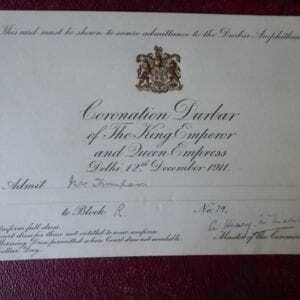 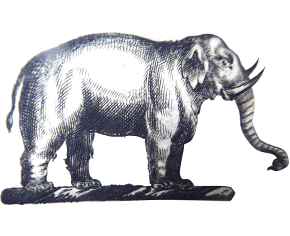 After the Durbar he was awarded the Royal Victorian Chain.